Last week I showed off my fabric picks and two simple makes for baby #3. Today we're talking kimono shirts! 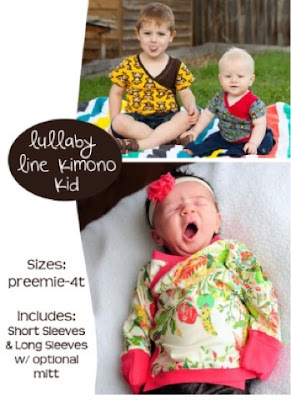 A month or two ago, Peek-a-Boo Pattern Shop released another in its line of newborn patterns, the Kimono Kid Tee. 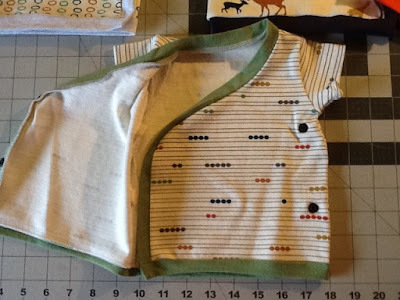 I snatched it up, since it's hard to come by newborn top patterns that are also interesting. 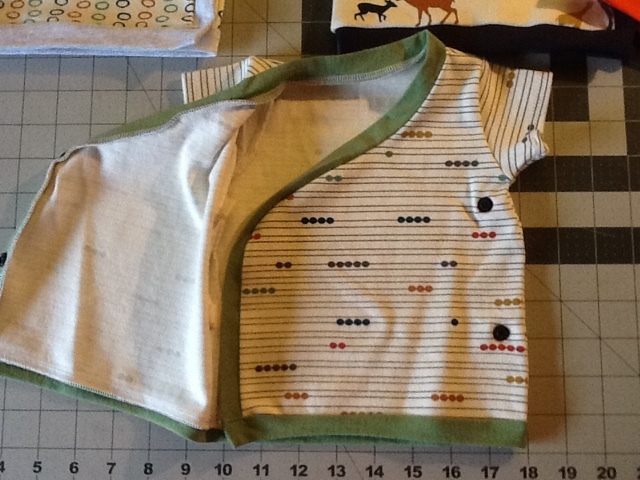 All of these are 3 month size and this pattern definitely runs larger than the Lap Tees I showed off last week. The orange triangles has long sleeves because the fabric was wider, none of the others could manage long sleeves. The best thing about this pattern is that the sizing runs all the way up to 4T, so I could make one of these for each of my kids! I probably won't...but I COULD...and isn't sewing halfway about the "I could"? Anyway, I was actually a little intimidated by this pattern. I can't recall owning many (any?) kimono tees before so I've never studied how they're made. But of course, Amy's directions are great and before I knew it, I had a stack of these whipped up. You have the option of sewing mitts on the long sleeve tee, but I've never been big into denying my babies their hands so I went with simple cuffs. 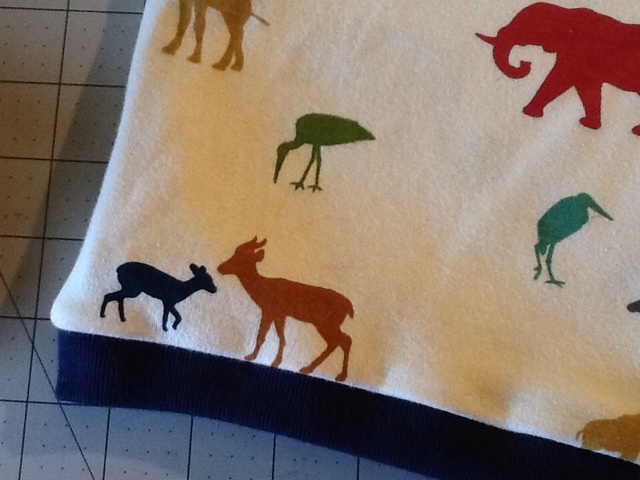 I highly recommend batch cutting and sewing when you're making a lot of the same pattern. I specifically chose fabrics that would all be fine with white thread so I never had to rethread my machines. By the end of it, I'd say that applying the snaps took as long as sewing the whole item! 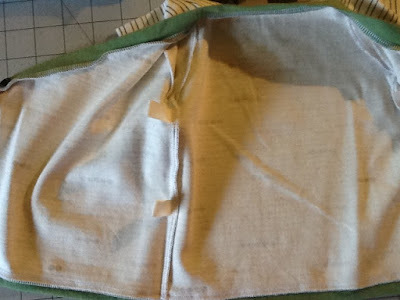 It was a very satisfying process for me since I don't have a lot of time to sew. 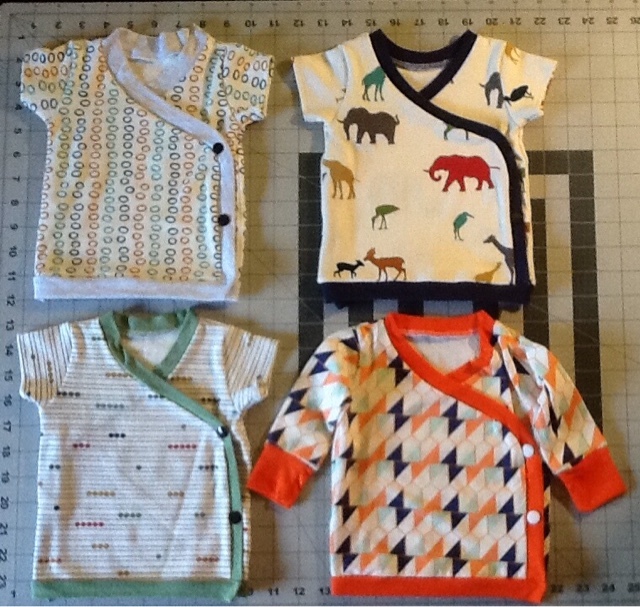 Again, the fabrics are from AACotton Creations on Etsy. Most of the accent fabrics are from my stash. The snaps are from KAM Snaps, are size 20, and I applied them with the KAM Snap hand pliers. I still have not installed the internal snaps yet. I had intended on hand-sewing smaller metal snaps, but along the way I've come across another option. 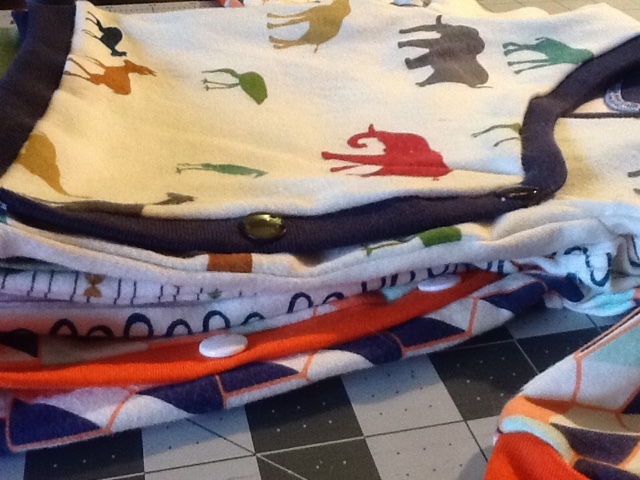 Since I'm making a bunch of baby stuff, I'll probably wait until I'm "done" and assess what I need. Hand-sewing seems too time-consuming at this point, and the plastic KAM snaps are way too strong for the interior. The last thing I want is for my snaps to rip out. I love how these tops turned out and how well my new babe's mini wardrobe is coming along. I mean, c'mon, mama and baby animals?? Doesn't get much cuter than that! You have done great work and utilize your pregnancy time great. I can understand the effort since I also offer Personalised Baby Clothes service. Very well time utilized. Wonderful baby clothes you have shared here. I really appreciate you for your work. Find punk rock baby clothes online at the best price.